Our Sunday School Is Now Open! Click here for more details! 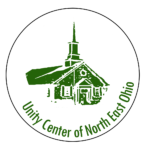 We are very happy to announce that the new Unity Center building has officially been purchased! The deal was closed and the keys transferred yesterday. We would like to thank everyone who worked tirelessly behind the scenes to make this happen. We would also like to thank you all for your generous contributions towards our new endeavor! The purchase price was $775,000.00 and we raised $725,000.00. $50,000.00 was loaned by a couple of our local generous families. Now the real work starts! We still need $200,000.00 for renovations and remodeling. We urge all members of our community to stay involved and continue your efforts as we move forward, united, with this exciting new venture!